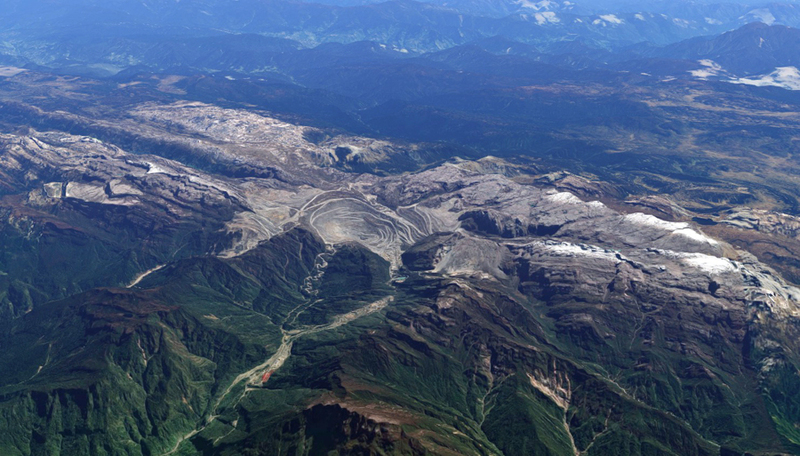 Freeport McMoRan (NYSE:FCX) and Rio Tinto (LON:RIO) signed Thursday final agreements that give Indonesia a majority stake in their Grasberg copper mine, the world's second-largest, and which would be transferred to the state-owned mining company PT Indonesia Asahan Aluminium (Inalum). The "definitive" and "binding" agreements end a long-drawn-out, three-way dispute over the mine, centred on bringing Indonesian ownership up to 51%, a main requisite set by the government to allow Freeport-McMoRan, operator of Grasberg, to keep doing so. It could also bring closure to years of disagreements between the Phoenix, Arizona-based copper miner and the country’s government, which last year curbed output at the mine, impacting metals prices worldwide. Agreements end a long-drawn-out, three-way dispute over the mine, which has been centred on bringing Indonesia's ownership of Grasberg up to 51%. The transfer of majority shares to Inalum will happen once the miner makes a payment of $3.9 billion to Freeport and Rio Tinto, Energy and Mineral Resources Minister Ignasius Jonan said in a statement. As announced earlier this year, once Inalum becomes Grasberg's majority stakeholder, the government will issue a special mining license extension to Freeport allowing ore extraction until 2041. The permit, known as an IUPK, is the “government’s commitment to maintaining the investment climate so as to provide certainty and security to foreign investors to invest in Indonesia,” minister Jonan noted. The authority added that Freeport’s local unit will have to build a copper smelter with a capacity of 2 to 2.6 million tons per year, which should be completed in less than 5 years. PT Freeport Indonesia is already drafting a roadmap to manage all environment-related issues surrounding the facility, Minister for Environment and Forest Siti Nurbaya said in the statement. Today's deal is considered a victory for President Joko Widodo, who faces re-election in 2019 and who has insisted that mining companies must divest majority stakes in order to continue operating in the country. Grasberg, the world’s second-largest copper mine and fourth largest gold operation, is transitioning to an underground operation, set to reach full capacity by 2022, when it will produce 160,000 tonnes per day of ore. The additional Deep Mill Level Zone block cave mine, currently under construction, is projected to contribute an additional 80,000 tonnes per day of ore once at full capacity, expected in 2021. Currently, Grasberg’s reserves are estimated to be worth about $14 billion. Last year it accounted for 47% of Freeport’s operating income, according Bloomberg Intelligence.